Obamacare: How Many of the President’s Promises Have Been Broken? But after last week, President Obama must now admit it’s a tax or admit the mandate is unconstitutional. It’s can only be one or the other. Reality: The individual mandate is far from alone on Heritage’s lengthy list of Obamacare’s new taxes and penalties, many of which will heavily impact the middle class. Altogether, Obamacare’s taxes and penalties will accumulate an additional $500 billion in new revenue over a 10-year period. Yesterday, a senior economist for The Wall Street Journal revealed that 75 percent of Obamacare’s new taxes will be paid for by American families making under $120,000 a year. Among the taxes that will hit the middle class are the individual mandate, a 2.3 percent excise tax on medical devices, a 10 percent excise tax on indoor tanning, and an increase of the floor on medical deductions from 7.5 percent of adjusted gross income to 10 percent. When polled, 70 percent of Americans held an unfavorable view of the individual mandate. It’s doubtful that calling it a “tax” will dramatically change their opinion. Now that Obamacare and its broken promises remain the law of the land, it’s up to the American people to see to it that the law is ultimately repealed by Congress. Then, they can move forward with real reform that puts patients’ needs first. 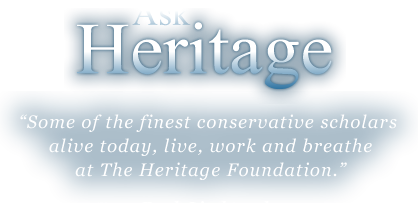 Like all the important work The Heritage Foundation does to promote the principles of free enterprise, limited government, individual freedom, traditional American values and a strong national defense, this article was made possible by the nearly 700,000 Members of The Heritage Foundation. 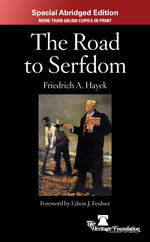 If you become a member today, as an added bonus you will recieve a copy of Friedrich Hayek's The Road to Sefdom with your tax-deductible gift of $25 or more. This glassic book explains the dangers of government intervention in the free market and its effects on individual freedom. It's one of the most influential works of economic literature ever. Support Heritage's work by becoming a member today.